I watched you pushing your cart today as we passed in the bread isle. I counted all the little friends you had with you, and I noticed that marvelous belly carrying another little friend to join your family soon. I felt overwhelmed for you and thought of times when I needed milk desperately enough that I had no choice but to haul all of my kids to the store when they were smaller. I remembered how much courage it took just to get them all in their car seats, let alone to try to shop with my full entourage begging for candy and toys, crying because they were tired or hungry, and not knowing where to even put the groceries because my cart was full of kids, and I didn’t want to take them out for fear I would lose one of them. And then there are the glances you get from other shoppers that are always fun as you walk your own personal circus through the store. You know what they are thinking– because some of them are rude enough to say it out loud sometimes. ‘Hasn’t she ever heard of birth control?’ ‘Get a TV or something!’ ‘Honey, you need to find a hobby.’ And they have no idea who you are. They have no idea that maybe you struggled with infertility for so long that you decided that you would take any child the Lord would bless you with whenever He chose to bless you with them. Or maybe you just got remarried and your family of 3 became a family of 7 overnight, and you are going through the struggles of blending a family. Or maybe you are tending a friend’s kids while she is going through chemotherapy. Maybe some of the kids in your cart did come as a surprise, but you have taken on this role of “mother to many” and are doing your very best to find joy in the circumstances you find yourself in. And now that these children are in your life, you would never give up the blessing that each one is to you for an empty cart at the grocery store. Or maybe, just maybe, being a mom and having a big family has always been your dream. And these kids in your cart were wanted, and prayed for, and gratefully received. And maybe you have dreams of being a young grandma and enjoying many years spoiling grand kids, so you’ve chosen to have your kids early and close together. And even though it is the hardest thing you have ever done, it is exactly what you want to be doing. Maybe those whispering, judgmental store patrons are actually witnessing you living your dream. A dream that can occasionally feel like a nightmare… especially at the grocery store… but your dream nonetheless. I saw you, and I just wanted to be your personal cheerleader at that moment. I wanted to follow you around the store and tell you how amazing you are and what a great job you are doing and that eventually they won’t be so little and it won’t be so hard and you will be so glad you chose to bring them all into the world. But I could tell by the look on your face that you already were. I saw the peace in your eyes that can only be found in a woman who knows who she is and what she’s about– a woman who brushes off the sideways glances as she stays laser focused on making her dream a reality. And I was inspired. As inspired as I am at the woman who becomes a world famous surgeon, a high government official, the CEO of her own business, or a world-renowned speaker. Because I am inspired by any woman who knows who she is, and follows her dreams to fruition, regardless of whether anyone else believes her dream is worthy or attainable. And despite what the world would have you believe, your dream– Motherhood– is not waste of a woman’s potential. It is as worthy a dream and ambition as any other. You are making as big a difference in the world by mentoring little souls as the woman running a fortune 500 hundred company. Maybe even a bigger difference. In our fight for women’s rights, it is a tragedy that we let the pendulum swing from one extreme to the other and let motherhood be a casualty in the war. In our fight to get rid of the boundaries imposed on women by a culture that treated women as less than men, we somehow came to this place where we decided it was okay to start creating boundaries for each other as women. How about we get rid of any box that we shove a woman into that makes her feel less than? True feminists appreciate a woman’s right to be whatever she feels in her soul she should be– and that includes a mother who doesn’t choose to enter the work force right along with a world famous surgeon, a high government official, the CEO of her own business, or a world-renowned speaker. It breaks my heart how much we judge each other as women. Life is too hard and too short to not spend it cheering each other on. 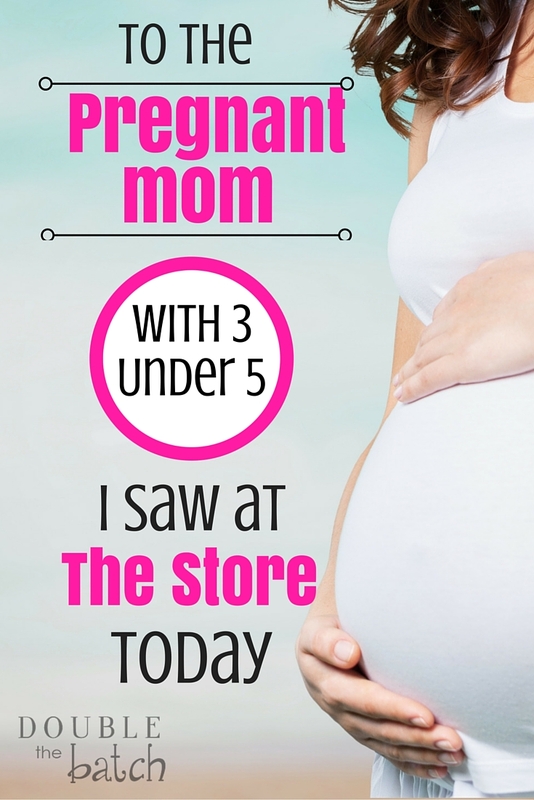 So, the next time you see an overwhelmed mom at the grocery story with a bunch of kids in tow, go give her some encouragement, just like you would your friend working on her doctorate, instead of an awkward stare. Feelings of inferiority that often lead us to judge each other disappear when we are focused on lifting each other any chance we get. And we are all lifted anytime any woman realizes her dreams, whatever they may be.